Introduced by Nshama, Sama Townhouses offers modern living for the residents with an excellent lifestyle and redefines serenity. This residential off plan development is located at Town Square Dubai and offers stylish homes starting from AED 988,888. 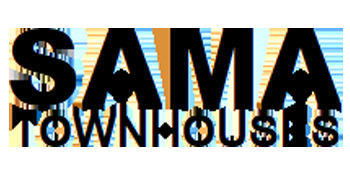 Sama Townhouses are located at Nshama Town Square and offers stylish living with an array of amenities. Nshama Town Square spans over a total area of 31 million sq. ft. and offers 18,000 apartments and 3,000 townhouses. It also features a large variety of amenities from Reel Cinemas, to open-air cafes, a scenic park, and the Vida Hotel. © 2019 Sama Townhouses, All rights reserved.